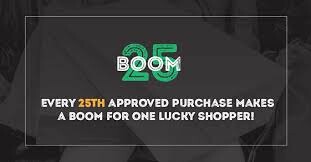 You have to hope that any such sale goes through quickly so that new owners can get in there and start turning the business around. Lets hope it isn't too late. Think Go-Ahead should go for this. err no. from wot i hear wgl have debts of 11 million and 32 varios to get rid of by xmas to replace with dda buses. any company who buys it takes on the debt and has to invest in buses by xmas. reckon it will just fizzle out then first kernow or someone else might just come in and run services without having to buy the business like scsw did with barnstaple. As has been said here several times, most of the Varios are exempt from DDA until 2020, so replacing them is not an issue right now. Their fleetlist shows there are enough in reserve to cover the few that have to be replaced by the end of the year. For technical reasons I don't fully understand I have been told that it has been confirmed that the Varios are not compliant and so can't be used after this year. why would any one go for this not when they can pick routes up with out paying for any company? Why on earth would anyone want to buy it. The accounts now published for 2013 show a loss of four hundred and something thousand, say the losses have continued ever since, and that competition will further damage the business. GoAhead just have to wait until next week then register the routes they want. Or just do as First and Stagecoach have and register them now! Yes, a loss of 400k no doubt due to lots of one off exceptional items related to contract losses and a fire destroying almost 40 of the fleet. that could turn the business into something that makes money, instead of an unwell canine. Clearly the present owners are no longer prepared or able to put any more of their own money in. They must still have plenty of it, given the profits made over the years. Don't feel too sorry, both owners are in their mid 60s and it's an age when people retire from working. So a sale was always going to happen. WG's stated income in the advert is £7.9m so if the cost of operating their services can be seriously reduced then it will turn a profit Don't forget the big group companies can hedge their fuel costs, can obtain vehicles and parts at better prices than a small firm (big groups have vehicles of differing ages to transfer at preferential rates compared to dealers such as Ensign - leases can be broken at key points in the lease period), and there are other costs like fleet insurance that can also be reduced significantly. (The big firms self insure). For £1 plus the current liabilities Go Ahead potentially has a massive 'in' for its PCB operation, which evidently is seeking growth. No competition issues for them - all the parallel flows that would concern the CMA remain covered by a First, Stagecoach or other independently operated bus in addition to a Go-Ahead one. PCB would need to register and recruit people and find buses to run WG routes, whereas for roughly the same money they could have a ready and waiting fleet, albeit one needing knocking into the required standard, to achieve their required growth. Sorry,but it's too late to turn it around. The present owners haven't shown the heart or interest in doing so and now all the core routes are being covered by First. Go-Ahead / PCB would be mad to even look at it; can't see it happening, especially as Go-Ahead's record of dealing with acquisitions that are outside big urban centres has been utterly dire in recent years. The company is not worth anything, the only asset of any value is the freehold garage and if anyone was serious, that could well become available for sale seperately in time. If anyone buys the company as a going concern with all the inherent liabiliities, lack of staff, potential tax issues, potential VOSA investigations and inquiries, plus the current service registrations that would have to be honoured for at least another couple of months in middle of the off-peak season (xmas shopping aside), they would really need their head examining. A sale might have made sense five years ago but that ship has long since sailed. Might be too late, but even with VOSA issues, the new owners have the best excuse for the most minimal of action. 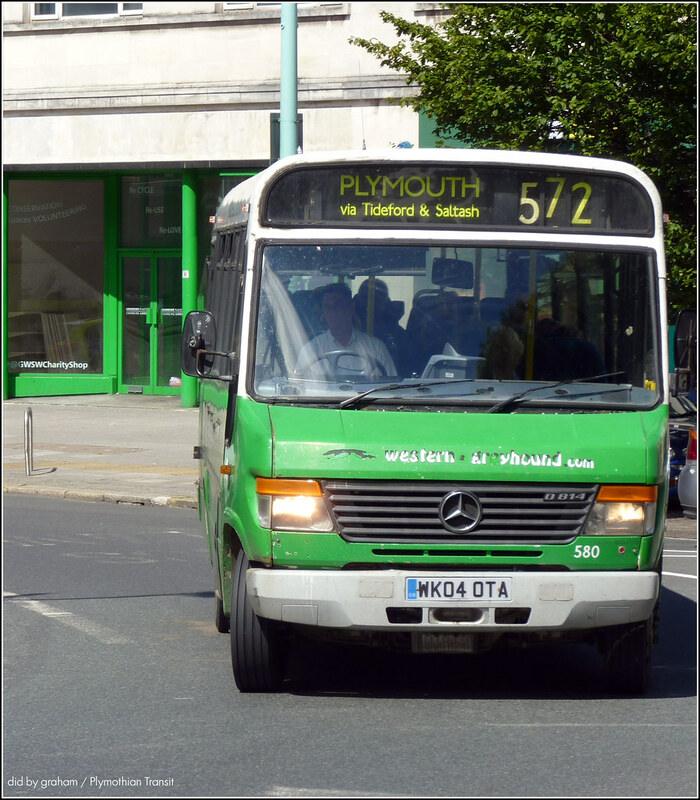 The Plymouth routes operate right past Milehouse - and Go Ahead requires growth out of their subsidiaries- the purchase price and the debts roughly equate to what it'd sell for it were a profitable concern. They would need to spend the same money by registering this work and hiring drivers and finding buses. It's a major turnaround job, but its Go Ahead's for the taking. They're the only ones who could do so without CMA issues. Sufficient cost can be taken out to make it profitable in the medium term. No hope of a new owner or a turnaround. First's new services that started on 2 November and the ones they've registered from January cover the best of Greyhound's services. Even before the First routes were registered Greyhound was losing huge amounts of money. It's all over. The sale is just NatWest's agents going through the due process of offering it for sale for a week before it gets put into administration. Totally agree, who in their right mind would by a company loosing 0.5m a year with an ageing fleet and hardly any drivers. A company facing competition on all their profit making routes from First ? Can;t see any local firm doing this, First can't buy it and why would they when they an pick off the routes for free ? Would Stagecoach or GA really want to buy into this, again they could register competing routes for free but First has beaten them to it ? First seem to have the timing just right here and i suspect if WG go before the end of December, First can apply for a short term licence to take them up until start of January for the more Eastern routes due to start at start of 2015. A £500k p/a loss can be sorted out. Think about the head office overhead at WG, 'directors' salaries alone- almost £100k there. Think also about the cost of diesel fuel, all done offsite at petrol stations at something around pump price. Big groups buy their fuel in bulk at a pre-agreed price for a fixed term. Think about the cost of buying vehicles, big groups can transfer internally without paying Ensign prices. A few economies can make the difference between a £500k loss and a breaking even business. To compare a similar sized business, take Eastbourne Buses in it's dying council days and in Stagecoach ownership. Losing a similar amount and Stagecoach went in, removed a load of overhead cost, and recast the network. Now it turns a healthy profit. Completely different situation. 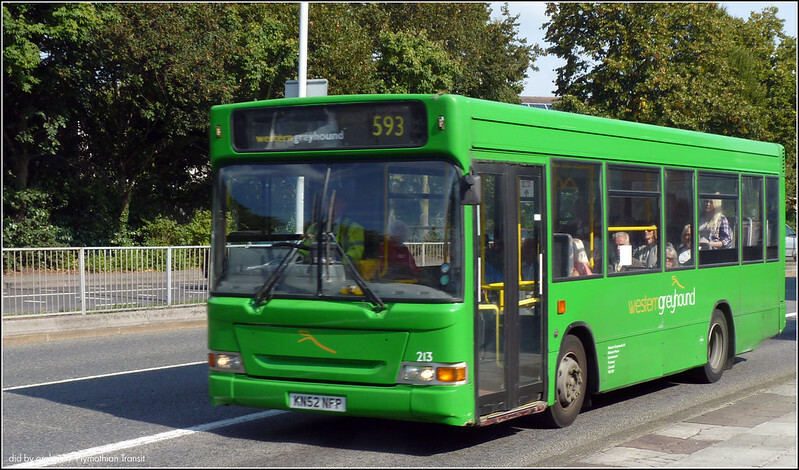 Eastbourne Buses was a commercial urban operation (albeit poorly run) but with a competitor on all its key routes. Both ops were losing money. Stagecoach had to buy both to sort it all out. WG is a rural/interurban operation with a mix of tendered and commercial work and will have a competitor on all its key routes come January. That competition is surely likely to see a sizeable chunk of the tendered work cancelled before long as CC can't be seen to subsidising routes where there is a commercial service. WG's business was built on the back of First's ongoing cutbacks and clever scheduling of vehicles and drivers. The scene has changed completely whilst WG's eye has been off the ball. Their reason for existing has pretty much disappeared without undergoing a massive scaling back which would leave a business that would be far too small to interest the big groups. And all the fallout over the next few months is going to give Cornwall Council an almighty headache. If WG goes, not only will there be a significant number of tendered routes and/or journeys that they will be looking to try to get covered, but who is going to bid apart from First and will there be much (or any?) pressure to keep tender prices down without WG and First both bidding against each other. Not just now but in the future too, when contracts come up for renewal. CC will simply not have the money to go around once tender prices start rising. There's also the real risk that, at some point, First is going to decide that their new routes aren't fully commercial which is where we were ten years ago when WG was able to build up a business on First's cutbacks. The passengers are going to suffer when CC can't afford to play the games. I wonder where (or if) a new Truronian or WG is going to come from to mop up of some of the mess in due course? If WG fails, the market will respond to the opportunities created. People won't be without buses, unless it is not commercially sustainable to provide those buses. Not necessarily. The market can only respond if it has enough vehicles, drivers and (most importantly), operators discs available. WG operate an awful lot of services and it will be very difficult to covers these at short notice if the operators do not have the discs available (and it can take several months to get more discs authorised by the Traffic Commissioners). Well First certainly has enough drivers vehicles and discs available, even before utilising any WG drivers. why is no one asking the councils what they plan to do if western greyhound don't find a buyer and things go pete tong tonight or in the next few days? I work for a local authority passenger transport unit and we've recently been through an operator failure. In our case we had about 2 days notice, and everything had to not only be done quickly, but also in strict confidence. We were arranging replacements while the operator was still running, and with the drivers unaware that they were about to lose their jobs. Indeed we had the replacement buses on the road as the previous operator's drivers were making their way to the head office wondering what on earth was going on. Several operators were involved in the bail out, and they arranged drivers to cover the shifts without telling them what the work actually was. On the day council staff met the replacement drivers at points on main roads and then piloted them around the various routes. Remember, as a local authority, we not only have to replace the "missing" routes, we also have to do it with regard to the cost, and with some understanding of the plight of the displaced staff, many of whom we know through doing on-bus surveys. Whilst we managed to cover everything, we also didn't want to reveal our plans to the replacement operators as we had to get the best value we can for our local tax payers, so there was a degree of comparing prices in the limited time we had. But, although when the "big bang" came we had just 2 days notice, we had seen operators in neighbouring areas fail and knew that we were very likely, simply on the basis of averages, to also see an operator fail. We'd had outline plans in place for over two years, which were and are regularly updated, to cover numerous scenarios. The industry runs on rumours, so we'll not pay too much attention to them, but if any company is rumoured to be in trouble we'll get the plan out and run a "what if". Keeping close to operators and knowing what they have available is vital in all this as we need to gather information without adding to any rumours, or starting new ones. I'm sure Cornwall have plans, and I'm sure Cornish operators will have been contacted on a "what if" basis for numerous scenarios, one of which will be the closure of Western Greyhound. I see that First's new 76 timetable has put a two-hourly service back into St. Dominick (alternating with two-hourly direct runs) - and a full evening service till late which seems to duplicate WG's tendered operation. They are also back in Bude. The new day-time service seems to suggest that they are now confident enough of WG's demise to be able to register a proper service which can ignore competition as a threat which is about to go away. As to the evening service - have WG thrown in the tender? wgh are owed hundreds of thousands of pounds by the council this could have something to do with the problem. Any news at all on the WG situ? Keith ref the 76 timetable it was a website database error resulting in that going up. I received a phone call Friday morning pointing it out. The timing laughably was poor. I took steps to have it removed in the short term. I see from their website. First are launching their own 2 hourly, 79 service from Tavistock to Callington in competition with PCB/Cornwall Council service? Will this mean Citybus will loose the funding on this route? With no Saturday service and a last journey mid-afternoon, First's hourly 79 looks like it is filling in between the trips to/from Callington School. Testing the market maybe for something more? Martyn. That's not how I read the Herald's report. Mark Howarth is quoted as saying, "A number of discussions are now ongoing with various parties and for this reason, we are not in a position to provide any further information at this stage."